Raditz arrives to retrieve his brother. Goku and Raditz are killed by Piccolo's Beam Cannon. Vegeta and Nappa stop at a small planet named Arlia. After finding the planet in unsuitable condition for sale, they destroy the planet. After this, they go into a state of suspended animation in a cold sleep. They're headed for the planet Earth. A period of several months Gohan begins his survival training. Gohan falls into ancient ruins and finds a robot. After a disaster, the robot is destroyed. Gohan becomes more mature. Yamcha is employed as a professional baseball player. Gohan becomes home sick and tries to escape from his training area and return home. After meeting Pigero and other orphans whose parents where killed in a tsunami, he regains his courage and returns to his training. Krillin, Chiaotzu, Yamcha, Tien, and Yajirobe are training at Kami's Palace. April 29th Goku arrives at King Kai's planet. Goku finally catches Bubbles. His next training is to hit a cricket, Gregory, with an incredibly heavy hammer. Goku bops Gregory on the head with the hammer. Krillin, Tien, Chiaotzu, and Yamcha make a spiritual travel to the old planet Vegeta. They are all easily killed by two weak Saiyan. When they return to their bodies, they all decide to continue training hard. 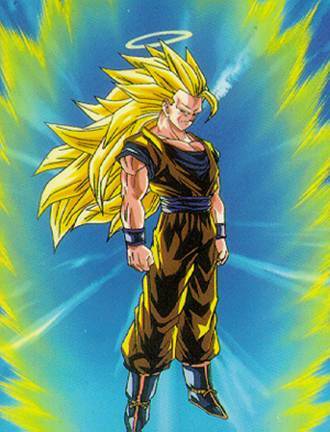 Goku is ressurected after having completed his training under King Kai. Vegeta and Nappa arrive on Earth. Gohan, Piccolo, Tien, Krillin, Chiaotzu, and Krillin face off against the Saiyan. Nappa, Yamcha, Piccolo, Tien, and Chiaotzu are all killed. The battle between Goku and Vegeta ends in a draw. A micro-sized robot made to look like an insect is deployed by Dr. Gero to collect blood samples from the strongest fighters for use in the construction of Cell. Goku, Krillin and Gohan are hospitalized in the East city hospital. Krillin and Gohan leave the hospital. The reconstruction of Kami's spaceship is completed. Bulma completes her lessons in the Namekian language. Gohan, Krillin, and Bulma leave for Namek. Vegeta lands on Frieza Planet #79. Vegeta's injuries are completely healed. He leaves immediatley for planet Namek. Vegeta, Kiwi, Bulma, Krillin, and Gohan all land on Namek at about the same time. Goku leaves for Nameck. Dende takes Krillin to meet the Saichourou. Piccolo, Tien, Chiaotzu, and Yamcha arrive at King Kai's planet and begin their training there. Goku's spaceship gets trapped in the gravity of the star Alpha HZ. By using the Kamehameha he is able to escape a fiery demise. Zarbon takes Vegeta's beaten body to Frieza's ship to heal him. Vegeta fights Zarbon for the second time. He kills him. Krillin takes Gohan to meet the Saichourou. By Frieza's order, The Giniyu Force's mission to Yardrat is delayed. They leave for Namek. Goku completes his training under 100g gravity. The Ginyu Force are destroyed. Piccolo is revived. Krillin is killed. Goku becomes the Legendary Super Saiyan and defeats Frieza. The planet Namek blows up. Krillin and Yamcha are revived by the Namekian DragonBalls. Tien and Chiaotzu are revived. The refugee Namekians are transported to New Namek by a wish to the Namekian Dragon Balls. After 5,000 years the Makyo-sei approaches Earth and Garlic Jr. is freed from his Dead Zone. But he is again defeated by Gohan and trapped for good in the Dead Zone since the Makyo-sei is destroyed. Cell arrives in Trunks' Time Machine and goes underground to absorb nutrients. Frieza's cyborg body is completed. Some time in August. Trunks arrives. He kills Cybord Frieza and King Kold. Goku returns to Earth. Vegeta undergoes gravity training to become a Super Saiyan. A relationship slowly developes between Vegeta and Bulma. Goku and Piccolo attend driving school to get their driver's licenses. Cooler arrives on Earth. He's defeated by Super Saiyan Goku. The 24th World Tournament takes place. Mr. Satan is the winner. All of the Androids appear. Cell shows up later that day. Piccolo and Kami fuse. Piccolo is temporarily the strongest character. Goku suffers from his viral heart disease. The Cell of the present is destroyed along with Dr. Gero's underground lab by Krillin and Trunks. Goku's heart disease is cured by the medicine Trunks brought from the future. Vegeta and Trunks enter the Room of Spirit and Time. Cell reaches his second stage. Cell reaches his perfect form. Goku and Gohan enter the Room of Spirit and Time. Cell announces the Cell Games to the entire World. Goku and Gohan exit the Room of Spirit and Time. Piccolo enters it. Piccolo exits the Room of Spirit and Time, Vegeta enters it again. Gohan enters Lime's village and saves it from Barbon's evil intentions. Goku and his family go for a picnic. At around noon, Cell single-handedly destroys the Royal Army. Dende becomes the new Kami. Vegeta exits the Room of Spirit and Time. Trunks exits the Room of Spirit and Time. At 12 noon the Cell Games begins. Goku dies a second time by sacraficing himself to save the Earth. Gohan completely destroys Cell. Goku's funeral. Trunks returns to his time. Goku visits Grand Kai's planet and meets Grand Kai. Goku participates in the Afterlife Tournament which was planned in "honor" of North Kai's death. Goku fights Pikkon. He finds him to be similar to Piccolo by his fighting and training style. Chibi Trunks takes his first steps. A Documentary is broadcast on TV covering the events of the life of the World Champion Mr. Satan. Doll-taki is employed by Dr. Myuu. His task is to gather energy to awaken M2's greatest Machine Mutant, Ruudo. Doll-taki does his job well and gets to work on gathering energy on planet Ruudo. Krillin and Android #18 get married. Supreme Kai and Kibito travel to Earth to search for the sphere in which Majin Buu is sealed. March 28th Gohan finishes the first grade level at Orange Star High School. There's a sighting of the Golden Haired Warrior in Satan City. Gohan begins the second grade level at Orange Star High School. He meets Videl. Gohan meets Bulma at 3 PM. She works on a transformation suit for him so he can disguise himself when fighting crime. She finishes at 5 PM. The Great Saiyaman appears for the first time! Videl discovers that Gohan is the Great Saiyaman. Gohan teaches Videl how to fly. South Kaioshin checks out Goku's training. Vegeta finds out that Chibi Trunks is able to turn Super Saiyan. Videl masters the flying technique. The 25th World Tournament takes place. Goku returns to Earth for a single day to compete in the tournament. Majin Buu appears. Vegeta sacrafices his life trying to defeat him. Majin Buu kills Babidi. Due to turning Super Saiyan 3, Goku is forced to return to the after-life early. Gohan mistakenly frees Elder Supreme Kai from the Z Sword. Elder Supreme Kai begins the ceremony to upgrade Gohan's power. 774 A.D. May 8th Piccolo, Gotenks, and Gohan are absorbed by Majin Buu. Majin Buu kills almost every single person on Earth. Elder Supreme Kai gives Goku his life allowing him to return to Earth. Vegeta returns to Earth with the help of Uranai Baba. Majin Buu destroys the Earth. Vegeta's life is restored when all of the good people who died are wished back to life. Goku destroys Majin Buu with the Super Spirit Bomb. 774 A.D. September 7th Shenron erases everyone's memories of Majin Buu. 778 A.D. May 7th The 26th World Tournament takes place. Mr. Satan is the winner. Majin Buu comes in second. Pan is born to Gohan and Videl. Bra is born to Vegeta and Bulma. The 27th World Tournament takes place. Mr.Satan wins. Buu comes in second place. The 28th World Tournament takes place. Goku leaves with Uubu to train him. Today, there have been 3 visitors (39 hits) on this page!